I’m in Hong Kong right now, and one of the first things I do when I get here is to check on my tea supply. Last time I was here things were just fine — nothing was moldy, as I checked every single tong of my tea. This time there’s no need to be so thorough, since it’s only been half a year and it’s been the dry season, so instead of actually physically examining all the cakes, I decided to try something I haven’t had for a few years instead, specially, tea that I bought in this instance. And…. the result was most satisfying. 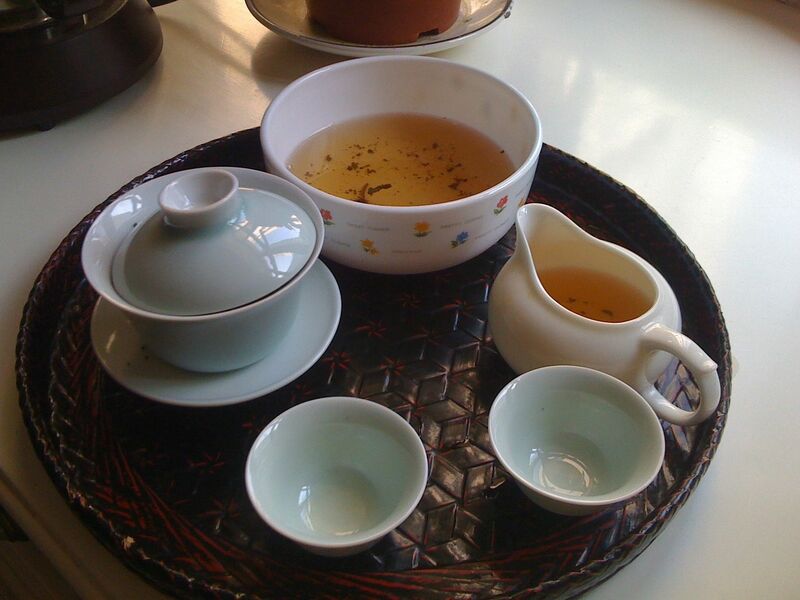 It was a good tea — good qi, nice body, thickness, etc. Everything I want in a young puerh, for a pretty low price. 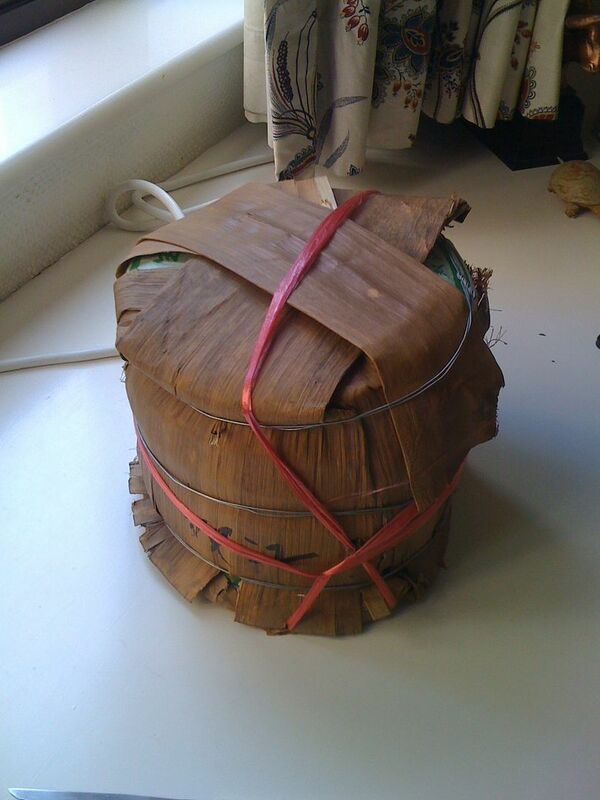 These guys DO know how to pick puerh for aging. I remember it was pretty harsh when I tried it in their store, but this thing is not a mistake. I should’ve gotten five tongs instead of one. Maybe I’ll go back for more. Marshall, thanks for sharing the photo. The tea looks pretty amazing – do you take it with you on your travels? I was curious – what do you do with your teas if they’ve developed mold? Should they be thrown away or can you just remove the moldy parts? That depends on how bad the mold is. Is it just a little here and there? Is it all over? Is it INSIDE the cake (i.e. you break it open and you see growth in the midst of the tea?) 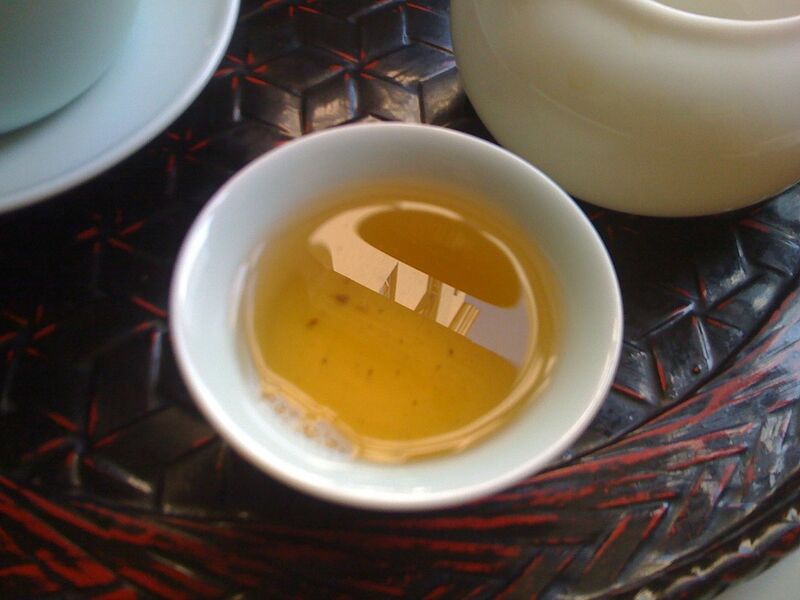 If it’s a tea you look at often and you discover a little something, ignore it. If it’s serious (i.e. all over) then you have to determine what kind of mold it is, and how comfortable you are with drinking stuff like this. If you brush it all off and then let it sit around a bit, some time may heal your tea. Then again, it may not. It all depends, really, on the condition in which you find the tea.